Resting on the banks of the quaint backwaters of Kerala, the heritage mansion is witness to over three centuries of history. 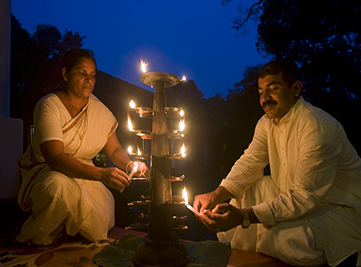 Take a short boat-ride from mainland Kochi to arrive at a destination that has been home to ancient cultures. Soak in the understated grandeur of a structure with wooden roofs on which time slipped on, and magnificent architecture designed to transport you to a bygone era. Way back in the eighteenth century, an enlightened monarch discovered that power is not about cavalries, splendour is not about gold, and true sovereignty is the freedom to surrender to the divine. That’s when the Rajah of Cochin built a temple for his family deity in the quiet hamlet of Chittoor. A fervent devotee, he soon realized that he could not stay away from the temple. So he built himself a manor just fifty yards away from the temple. Simple, elegant and regal, it housed an entourage that would cater to him when he visited the temple. And thus came into being Chittoor Kottaram. A king’s residence sprawling with true-blooded majesty, without all the glitz. Today, Chittoor Kottaram stands testimony to the legacy of a long-lost kingdom. An ideal destination for couples looking for an intimate getaway. Right from the moment you arrive on a boat, you get transported to a timeless era. At the entrance, your personal entourage extends a traditional welcome. There are no other guests, the entire staff is dedicated to serve just you. Restored with loveThe property has been carefully restored by The Helen Hamlyn Trust and is welcome to travelers seeking the legends of an erstwhile kingdom. Your moment in timeAs you take in the understated yet awe-inspiring architecture, you will find nooks and corners which are perfect to relax, like the plunge pool style like the traditional temple ponds. 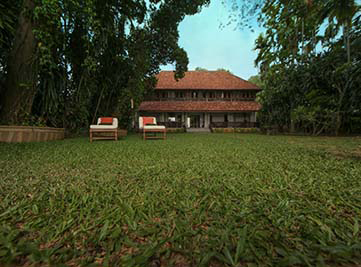 By the lagoonThe banks of serene backwaters are perfect to spend the evening surrounded by the sounds of nature. A window to the pastThe stunning view of the lagoon from the corridor is unparalleled. 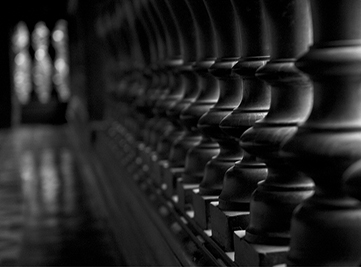 A timeless journeyFeel at home in the 19th century king’s residence, where you will be our only guests. The KaaryasthanMilton, your own peronal Kaaryasthan (caretaker) is at your service, round the clock. Local focus: Our people who work at Chittoor Kottaram are local inhabitants and come from the surrounding neighbourhoods. They bring with them a treasure chest of local lore and knowledge that would have made the ancient nobility proud. No doubt it will add immense value to your stay here. 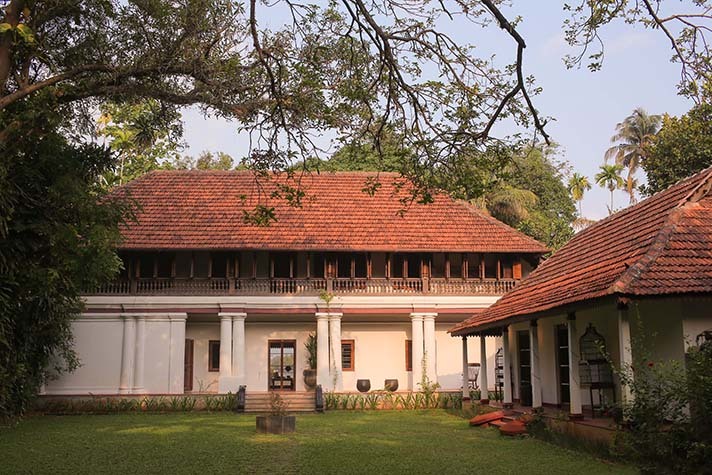 Resurrecting Royal History: This old family home of the Kochi Raja has been restored and adapted for reuse as a private villa experience steeped in the royal history of Kerala. Being true to the times: The traditional architecture of Kerala, balanced finely with European colonial influences, in this house has been conserved and restored with care by our architectural experts to give you a sense of historical continuum.